Ricardo “Ricky” Terrazas, with over 25 years restaurant industry started Ricky’s Pub & Grill. 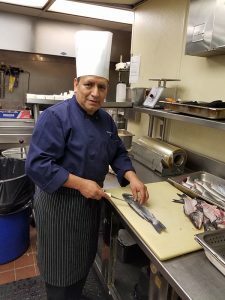 His passion for fine cuisine is apparent in through the traditional Bolivian, Latin and American dishes. This family business serves great food with a gourmet twist. Dine-in or Carry-out! The entire menu is available. We have cold beer and the game is always on! Enjoy our full bar with Happy Hour Specials, Mon-Fri.